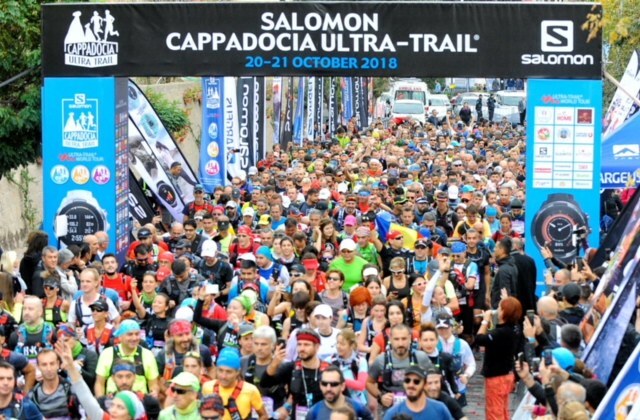 After my early on the race DNF at the Maideira Island Ultra Trail Race (MIUT) in April 2018, I immediately looked for another Ultra Trail World Tour (UTWT) Event where I would join even if I was already registered to join the TNF Lavaredo 120K Ultra Race on the last weekend of June 2018. 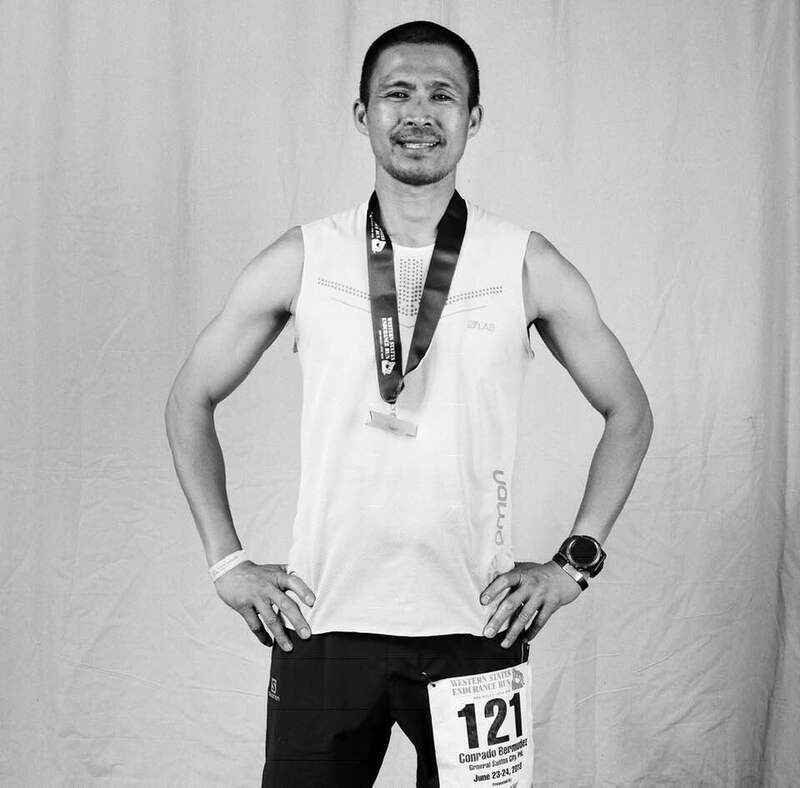 When I DNF at Km 65 at the TNF Lavaredo 120K Ultra due to “altitude sickness”, I have evaluated myself and accepted that I am already getting older and weaker despite the fact that I’ve been training consistently for my races. 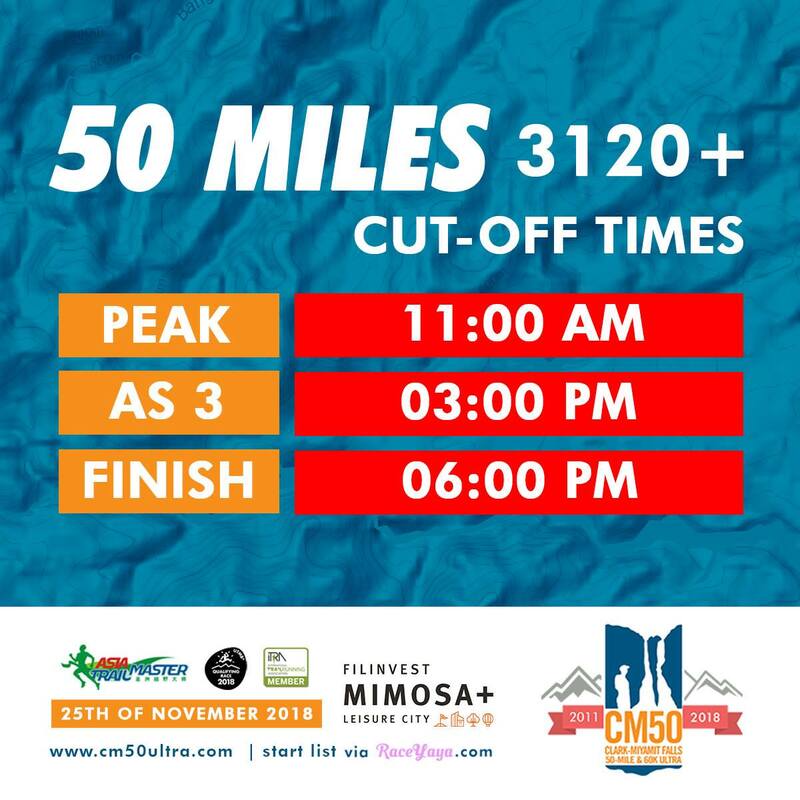 Having thought of my past DNF, I was able to assess myself that I should run shorter/medium ultra trail races which are less than 100 kilometers to regain my confidence to continue doing international trail running events. 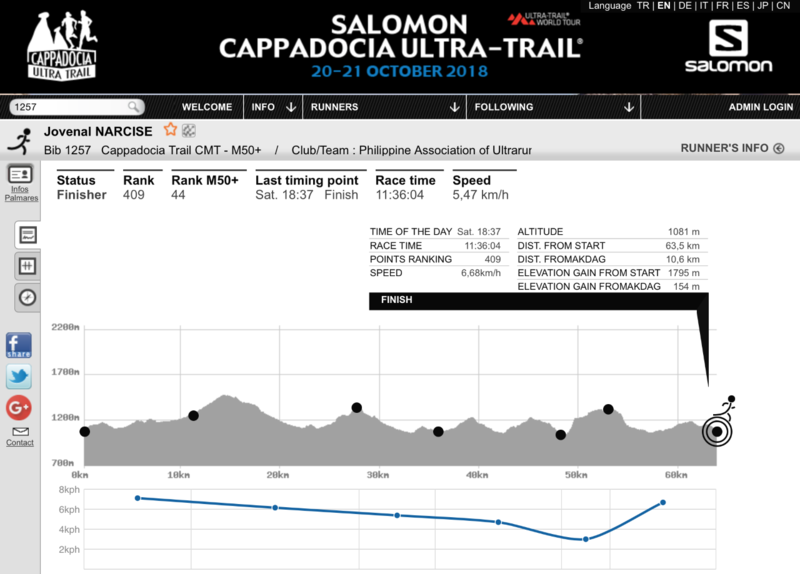 As soon as I was going back to Manila from Madeira, I reviewed the remaining races for the UTWT and I found out about the Salomon Cappadocia Ultra Trail Races which is scheduled on the third week of October 2018. Through a close and good friend who is based in London, Great Britain and had visited Turkey in the past, I made her a request to find out the details of the said race even if I could easily read the details of the said race in the Race Event’s Official Website. It was on the first week of May that I decided to join the said race. From there, I was officially registered to join the Medium Ultra which is 63+K distance. 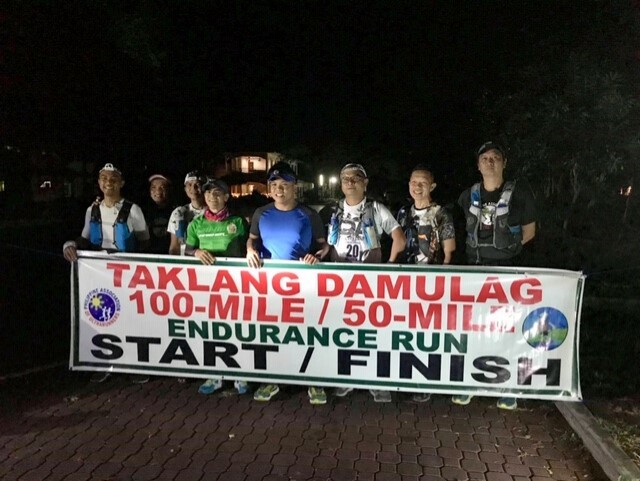 Later in the month, I asked my top trail runners who are regular runners in my BR’s Events and representing the Philippine Association of Ultrarunners (PAU) if they can join the event and take a shot at the longer distance which is the 119K event. 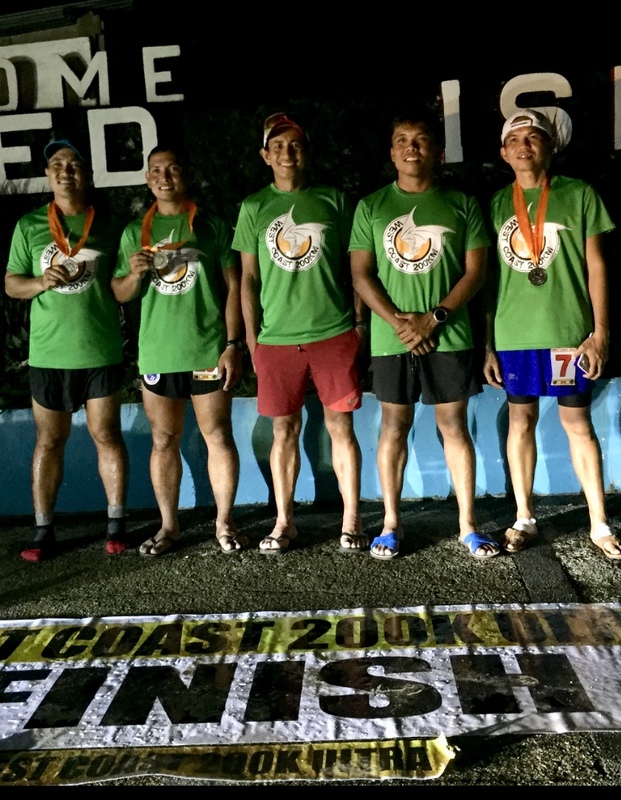 Finally, we made a team of three (3) runners in the Medium distance (63K) and two (2) runners in the Ultra distance (119K). 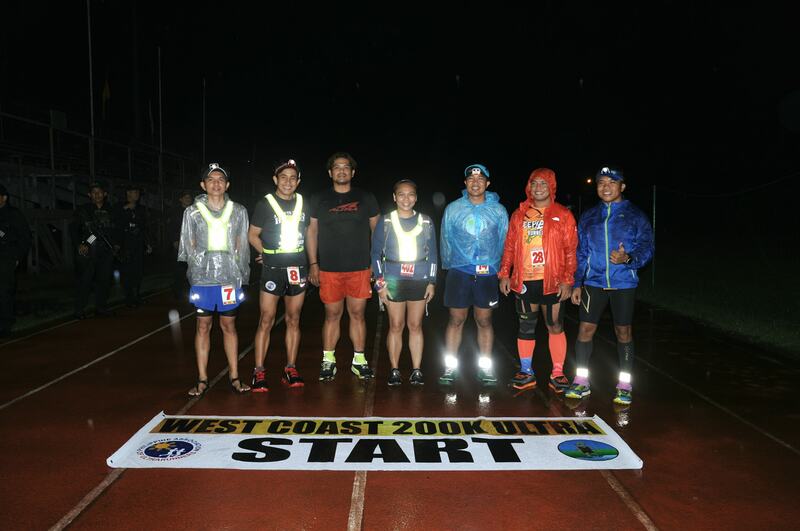 It was later, in the following months that another Filipino trail runner, Alex Yap, registered also to join the Ultra distance event. For this year’s 2018 edition, the Team PAU/Philippines is represented to join this event for the FIRST time! 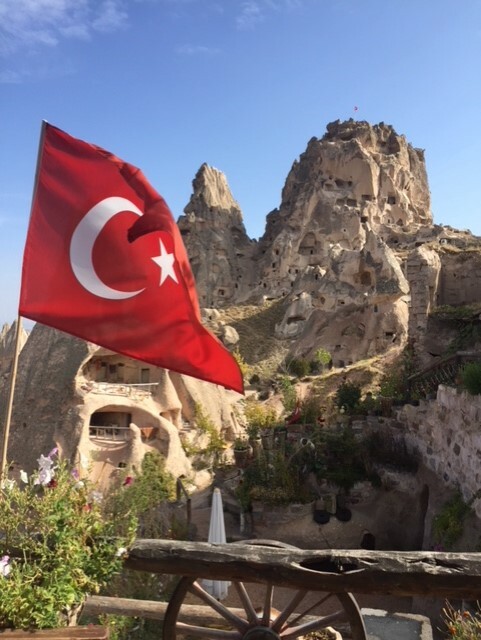 My trip itinerary with our Team will be discussed in a separate blog to include our accommodation in Urgup, Cappadocia, Turkey. 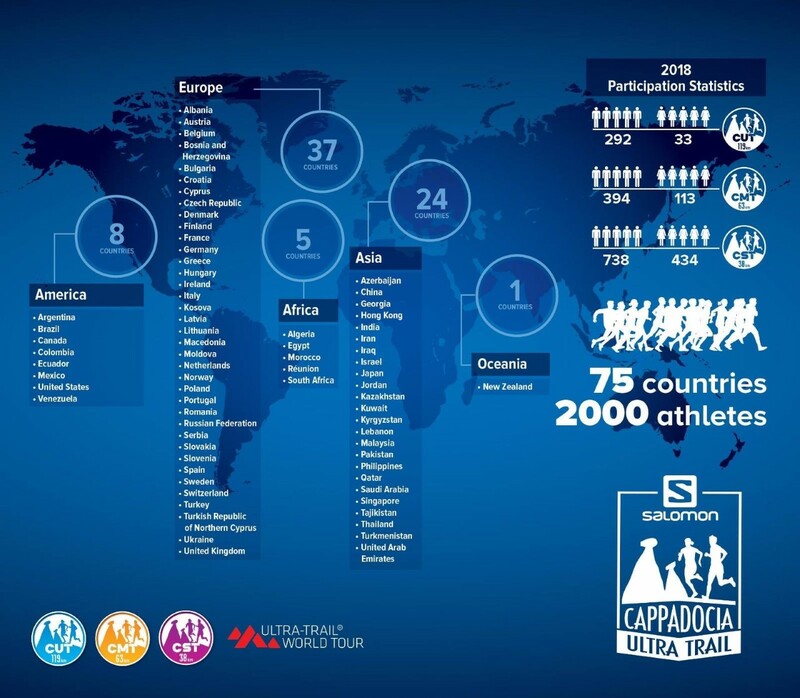 This is to include my training and other administrative activities related to the Race. 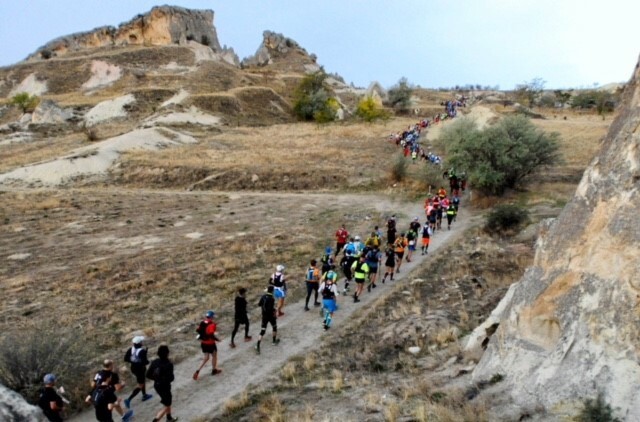 The Cappadocia Ultra Trail (CUT) 119K and Cappadocia Medium Trail (CMT) 63K Races started at exactly 7:00 AM of Saturday, October 20, 2018 at the Town Center of Urgup with 300+ CUT starters and 500+ CMT starters. So, 800+runners were at the starting line raring to go for their respective distances in a cold morning. 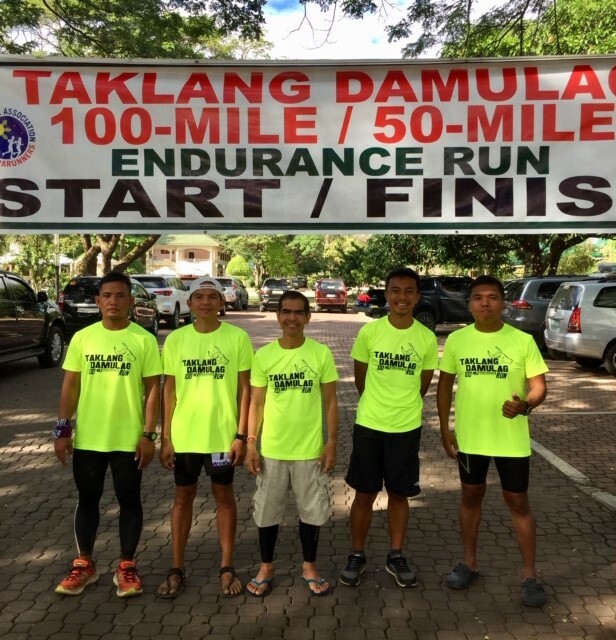 After some greetings and briefing by the Race Director/EMCEE, the race started where I placed myself and my Pinoy co-runners for the CMT at the middle of the pack. 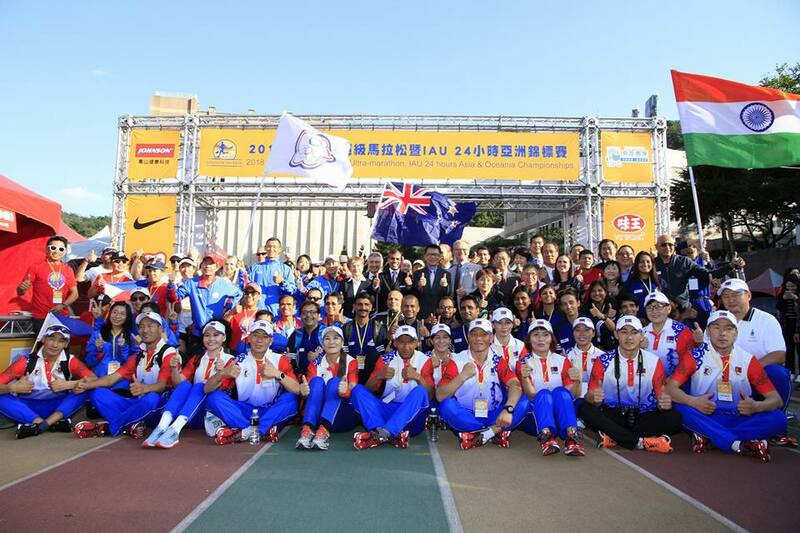 The two Pinoy runners for the CUT were positioned in front of the runners. The first 2 kilometers were on an uphill cobble-stone wide road where I could easily find my space once I left the starting line. Once the road leveled up, I was already few meters away from the start of the trail/dirt road where later we have to cross the paved highway going to the center of Urgup. 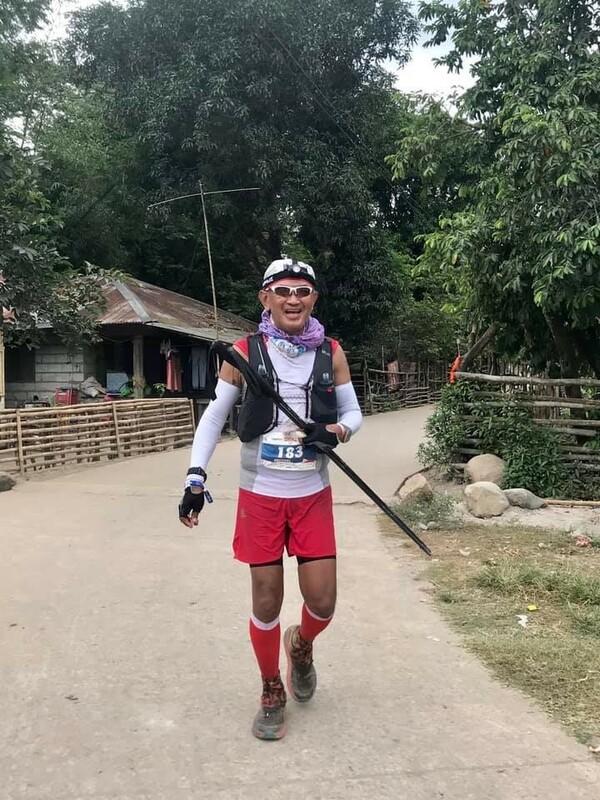 Once I was on the wide dirt road, I was already feeling comfortable with my pace aside from the fact that we had a familiarity of the place due to a recon run on the first 9K of the route two days before the race day. As the wide dirt road would become narrower into a single-track trail, I would pass the slower runners who would form a “conga” line from the sides of the trail. This had been my routine on this part of the course, most specially, on the ascending portions of the trail. There were some flat portions where I could run and hike on short steep ascents until we reached a cobble-stoned paved road leading to a populated area where a “Stone Castle” is located. We passed this town and we descended to a very steep cemented stairs until we reached again a dirt road. It was my plan to have an average speed of at least, 6 kilometers per hour on the first 10K of the course just to able to reach the first checkpoint so that I could have a buffer time of 20 minutes. And that is what I did. I reached the first checkpoint in 1:30+ minutes and I did not have to waste any time inside the Aid Station after I refilled my bottles with water. The place is called Ibrahimpasa which 10.8 kilometers away from the Start Line. I picked up 3 slices of Apple and placed them inside my Salomon Vest pocket. It took me at least one minute in this Aid Station. From this Checkpoint, it was another paved road going to the very peak of the mountain which is lined with houses. It was drizzling and cold but I enjoyed the coolness of the day and the air around me. Once at the peak, everything after was about 7-kilometer downhill where I was surrounded with the beautiful scenery of the mountains and hills on both sides of the trail. 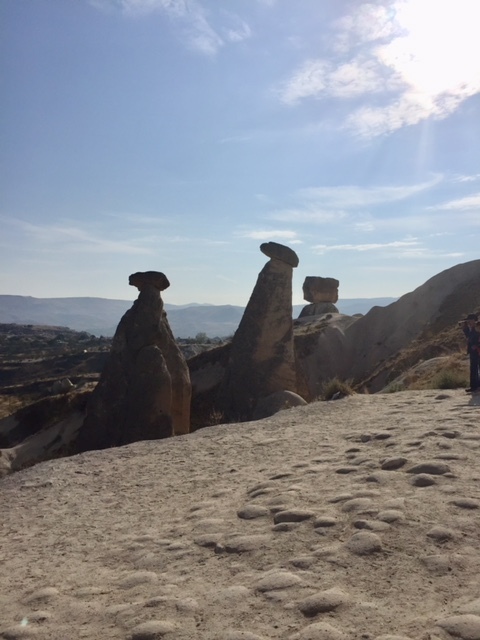 The scenery consisted of rock formations and rocks with some holes in them. I knew that the distance from Checkpoint 1 to Checkpoint 2 is 17 kilometers but I was confident that my two bottles of water and drink mix were enough for my hydration for the whole distance due to the cold weather. 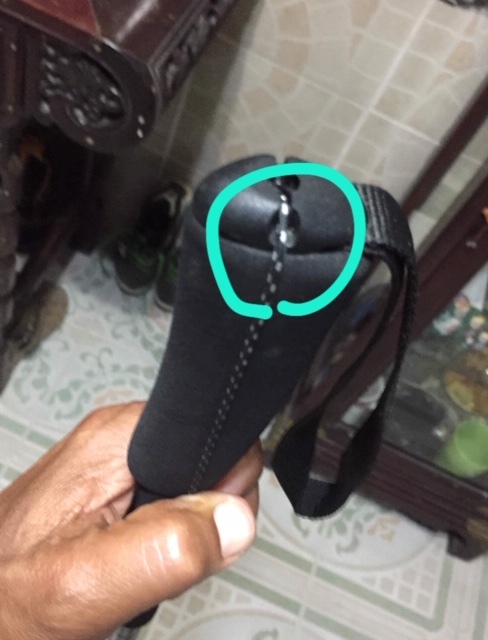 Although I have an empty hydration flask in my pack as a reseve for my hydration drinks, I was not able to use it during the whole duration of the race. The descending portion from the peak ended in a populated area with cobblestoned roads with commercial establishments on both sides and some parking areas. Race Marshals were there to point to us on which direction to take once we approach a road crossing. Because of the different electric posts and trees abound on both sides of the streets, there were tape markings tied on these posts and trees aside from those sticks with flag being being placed on strategic places and corners of each street turn. 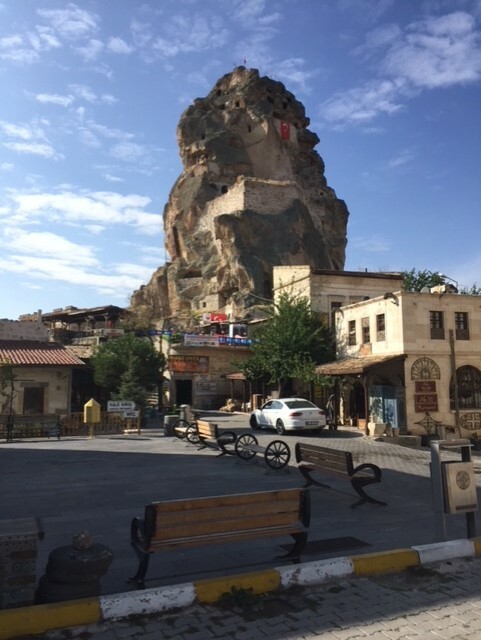 and As I got nearer to Checkpoint 2 which is called Uchisar, another populated area with houses and commercial establishments, I could see two pointed stone castles from afar but I need to pass through tunnels and canyons on a single-track trail. There was an incident where I bumped my head on the on the upper portion of the tunnel when I was not able to bend my body at a lower level just to be able to clear and pass through the tunnel. 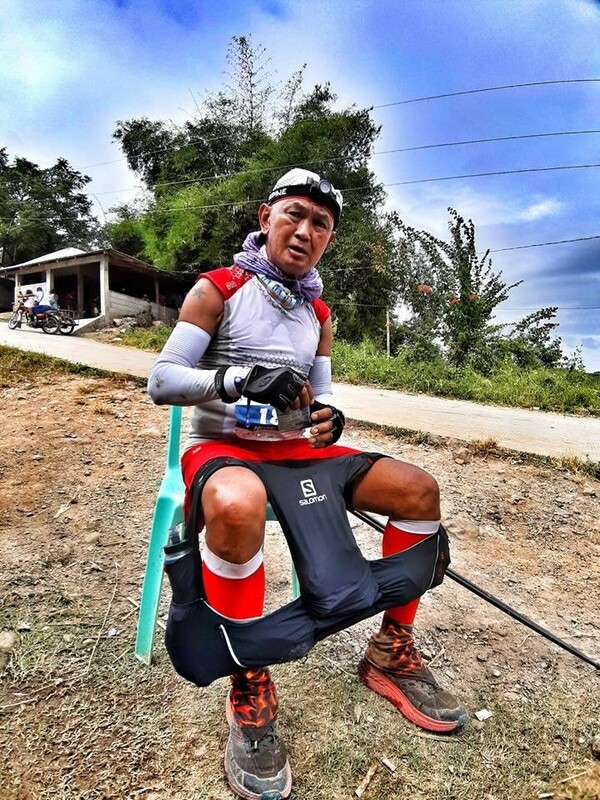 A Malaysian trail runner, Bryan Kho, was tailing behind me when this incident happened and he shouted to me, “Ingat, Sir”! (Be Careful, Sir!). And I said, “Thank you!”. I am glad that was the only cave with the lowest ceiling over ones head! The 63K route has a lot of tunnels to pass through and most of them are wide and big enough for the runners to pass through. On a winding and uphill route going to the Checkpoint 2 (Uchisar), most of the runners in front of me would bring out their cellphones and took some pictures of a garden with lots of flowering plants beside the road. I was not tempted to bring out my phone and promised myself not to take any pictures of anything along the route before the start of the race. Finally, I reached the Uchisar Aid Station which also served as the Checkpoint 2. It is located inside the “Rock Castle” and I estimated that I was able to add another 15 minutes to my buffer time which was already 45+minutes in total. I did not stay long in the Aid Station after I refilled my bottle; drank some water and Coca Cola; and finally mixed my powdered nutrition. I left a lot of runners at the Aid Station who arrived earlier than me. I was already approaching Km 28. as soon as I left the Aid Station. Few meters from the Aid Station is a very steep descent that runners in front of me would stop and look for other part of the route where their trail shoes would be stable and prevent them from sliding. Although I did not have any trekking poles, I was happy that I decided to use my Salomon Speedcross 4 as it gave me the appropriate and stable traction on those loose and steep downhill runs. On the downhill, I observed that there were lots of tourists along the route and there was a group of children who were very noisy as they trekked the trails where we shared with each other. I avoided these children until I reached a paved highway with some Police and Race Marshal directing the traffic as runners would cross the Highway. 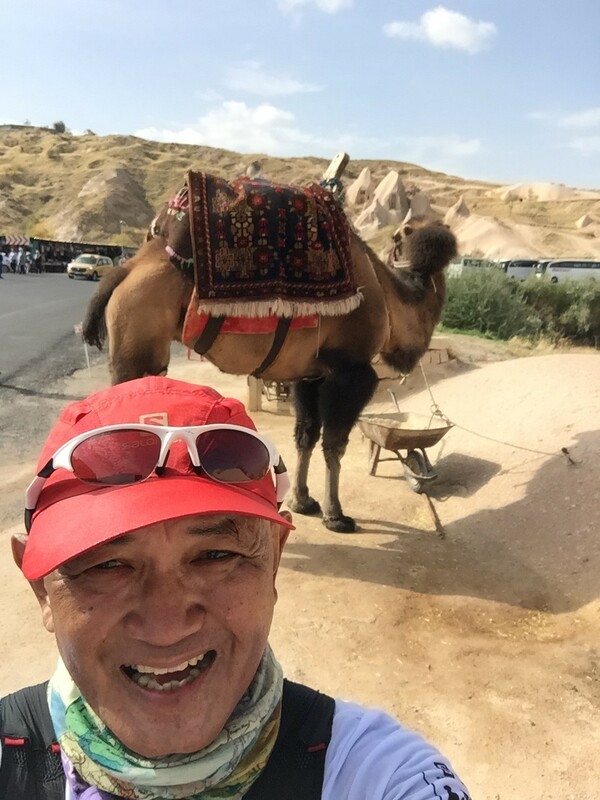 It was at this point that I was able to see a Camel and because of my excitement to see one for the first time, I brought out my Cellphone and took a picture of the animal and a “selfie”! 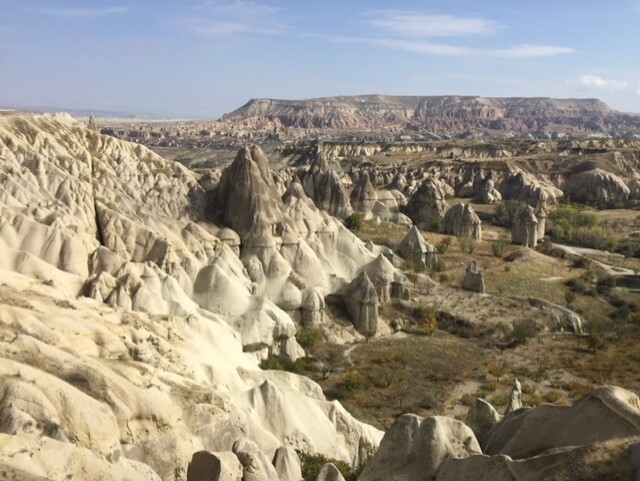 From the Highway, it was another descending part of the route with rock formations on the left side and I was amazed with the beauty of the place. It was starting to heat up as the sun would show from the cloudy sky but the air was still moderately cold. I would be running with other runners on a wide dirt road which is sandy and loose on this part of the route. There are other parts which are muddy but my trail shoes would manage to maintain its traction. On these flat sandy trail, I would increase my pace and race with the other runners, making those runners in front of me as my “targets” to overtake. 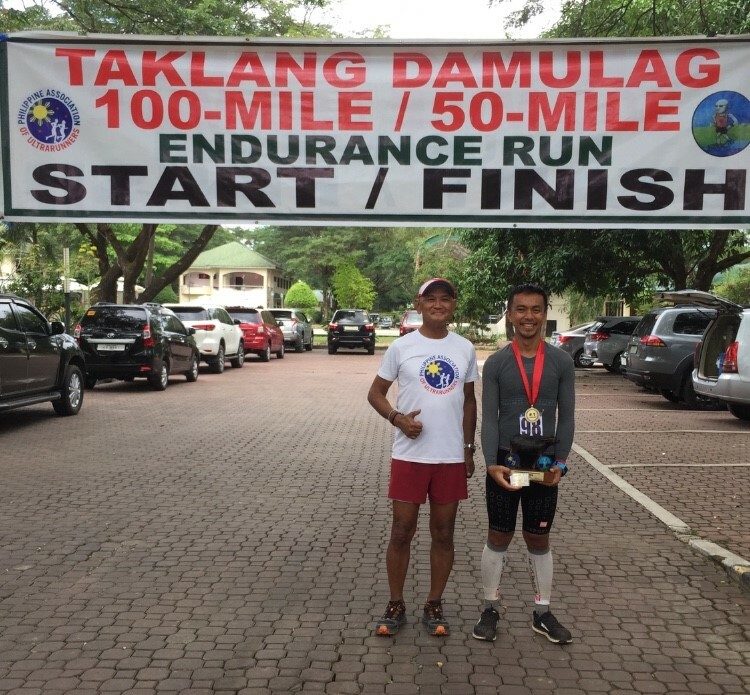 At this point, I was confident that I would be able to finish the race in less than 10 hours based from my prevailing speed as recorded by my Garmin GPS Watch. But I think, I celebrated too early! I finally reached Checkpoint 3/Aid Station 3 in Goreme which is Km 35.5 with one hour and 15+minutes as buffer time and I was able to meet Akyut, a very popular Turkish ultrarunner who is finished the Spartathlon for so many times, as the Chief Marshal at the said Aid Station. I refilled my bottles and grabbed some apple chunks/cuts and stashed them in my vest pockets; ate some chocolate raisin bread; and drank some Coke. I was frustrated to find out that they don’t have any Ice which I intend to use for my Ice Bandana. I think this is the place where I stayed longer for about 4-5 minutes. 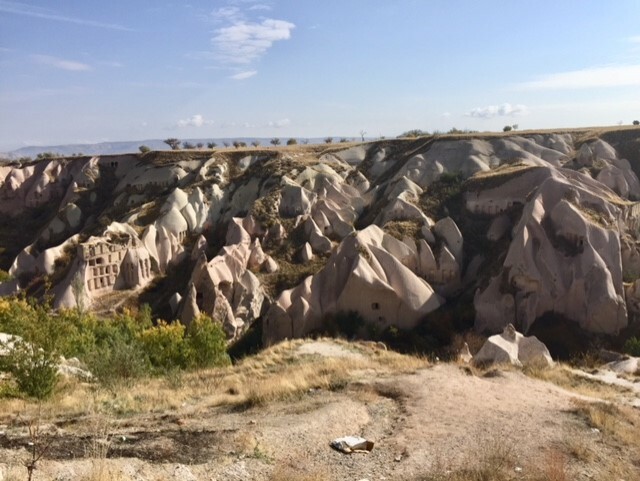 I started running on a flat terrain for about 1.5 kilometers from the Goreme Aid Station until I reached another paved road where I merged and joined the runners of the 38K distance event. As I left the paved road towards the trailhead, I was joined by these 38K runners who can still run through the trail on the ascents while I would hike on such parts of the route. I became irritated and uneasy whenever I could hear the footsteps of these runners who would be a group in 5-6 runners or more on a “conga” line. I was courteous enough to side step on the trail whenever they would be behind me and I was able to do this for so many times. Knowing that the distance to the next Checkpoint is 12.7 kilometers with two peaks/mountains to pass, I knew that my pace and speed had slowed down. Aside from the passing 38K runners, the ascents and descents were more technical, steeper, and more challenging. I was already having some signs of early cramping at this point but I was able to manage it through my nutrition and tempering my speed/pace. This part of the course slowed me down and I conclude that this is the hardest part of the course! However, this part of the course could be the most scenic and most beautiful, too. As I was about to descend from the second mountain, the 63K and 119K runners were separated from the 38K runners and I was happy to be alone again on the trail. This is where the scenery would be amazing again. The single track trail would be tricky/technical because it is along the side of the rocky mountain where either side of the mountain would be very steep and scary to look to the bottom of the mountain. The downhill on the side of the mountain has long switchbacks but there are steep short ascents and descents in-between. Finally, I reached a descending cobblestoned road that leads to a populated area which is lined up with commercial stores with their local products. After a short right turn from these stores, I would see the Aid Station at Cavusin which is Checkpoint 4 and located in a small one-story building on the corner left side of the road. I refilled my bottles, drank water and coke, ate some slices of their chocolate raisin bread and stashed some slices also inside my empty ziplock bag. I already knew at this point that my buffer time of one hour plus had been reduced to less than 30 minutes and I really needed to get back fast on the trail route. 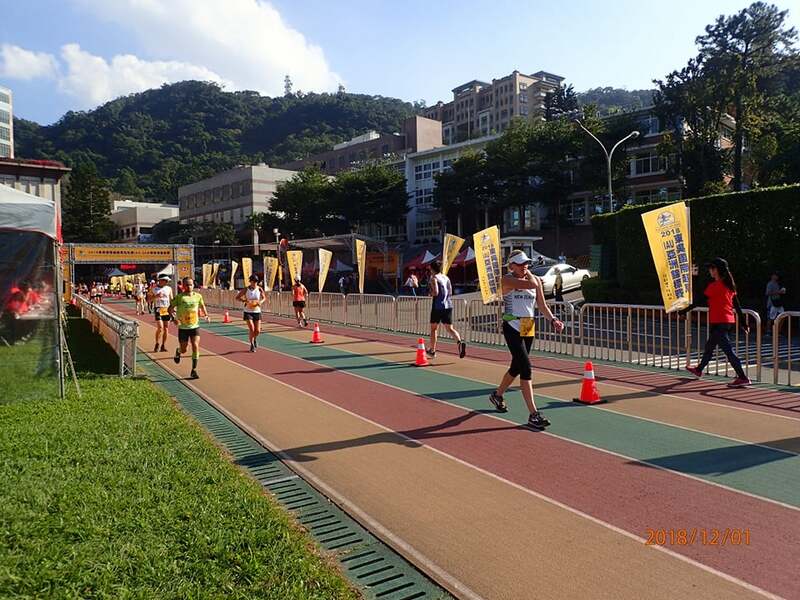 I was following a male runner which was 10 meters ahead of me and after about 200 meters, I was faced with steepest incline of the course which took me almost half hour to reach the first level portion which later became much steeper after one kilometer. I call this portion as “Kiss The Mountain” (where the slope of the mountain is on your face) and there is no established trail as I reached the peak of the mountain. 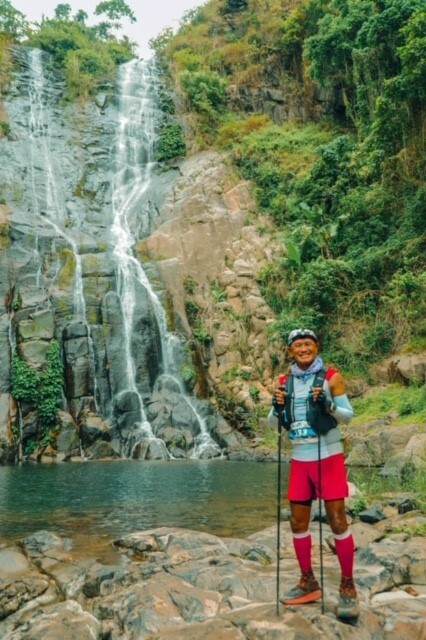 I was passed by a tall and younger male runner with trekking poles when I reached the peak of the said mountain and our eyes met with each other and smiled to one another. At this point, I was already cursing myself why I did not bring my new GIPRON Trekking Poles with me. Anyway, it was only at this part of the race where I thought I would have needed the aid of my trekking poles. I could not believe when the peak of the mountain is a plateau where we would run for at least 2 kilometers and descending to a trail on the side of the mountain for another 3-4 kilometers. As I start to descend from the mountain, I would see the next Aid Station which is the Fifth and Last Checkpoint at Akdag, but it was still another almost 3 kilometers afar before reaching the Checkpoint. On these last 2 kilometers to the Checkpoint, the trail was very steep and the soil was very loose that almost all the runners in front of me had to slow down. But my reliable Salomon Speedcross 4 did the work for me as I put more speed on my downhill run. I reached the Akdag Checkpoint with about 30+ minutes as a buffer time from the cut-off time of 10:30 hours. With almost 9 kilometers to the Finish Line, I knew I would be able to finish the race in 11+hours. I refilled my bottles for the last time and mixed my nutritional powder which would be enough to bring me to the finish line. The last section of the course is a vineyard with a rolling terrain which I would run the flatter sections and brisk walk the ascents. I could hear the sounds of the passing vehicles from the highway and it was my gauge on how I was progressing in my run towards the finish line. The sounds were becoming louder as I got nearer to the Highway but it was becoming darker as the sun was already setting to the west horizon. I was passed by a couple of male and female runners who are locals in Turkey and I made them as my “guides” towards the finish line. They were also kind enough to wait for me as I appear around the bend to make sure that I was following them. I decided not to use my headlight as I knew the street lights would be able to illuminate the last meters to the Finish Line. As soon as I crossed the Highway, it was my last 800 meters towards the Finish Line and everything was all downhill! 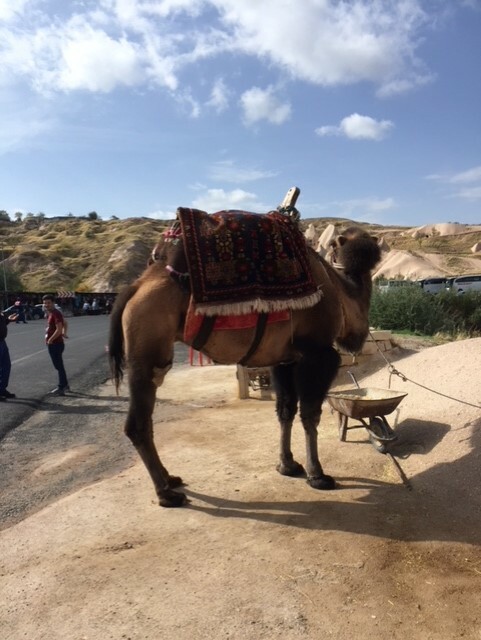 However, I was very careful on the last few meters of the cobblestoned road because the road was rough and the cobblestones were not lined evenly flat that I might trip on them with a single misstep. (I found out later that some runners had fallen and tripped themselves on this road before they crossed the finish line). I crossed the Finish Line in 11:36+ hours, which is almost one hour before the race cut-off time of 12:30 hours! 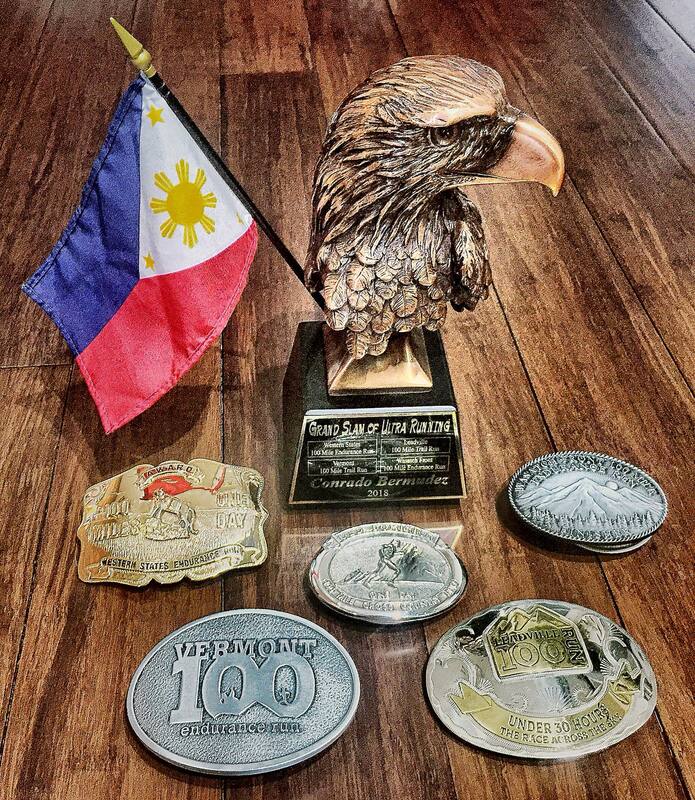 I was happy and I was able to redeem myself from my past DNFs in the Ultra Trail World Tour races where I registered. This finish gave me much more confidence to join and tackle more international trail races in the future. 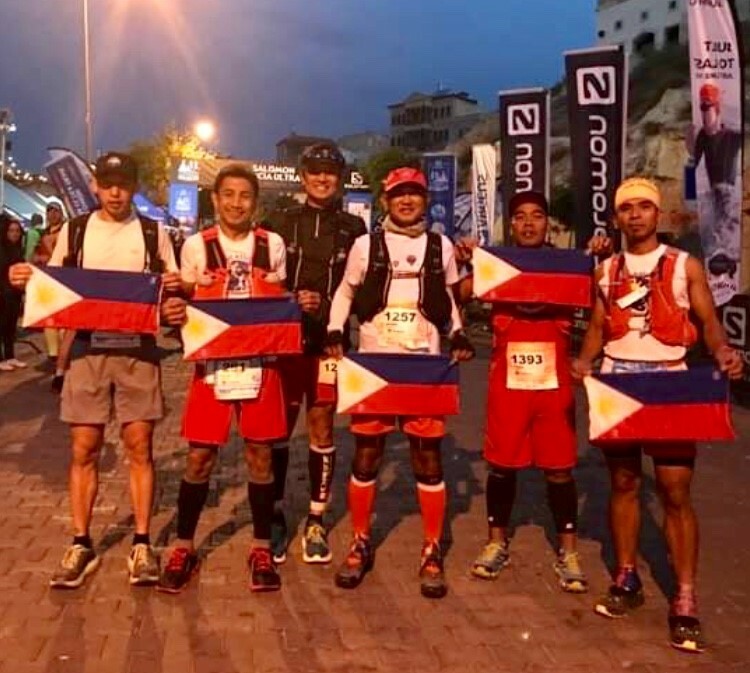 Aside from my personal satisfaction and accomplishment of this race, my Team PAU made a history as the FIRST Filipino Team of Ultra Trail Runners to have finished the Cappadocia Ultra Trail 119K and the Cappadocia Medium Ultra 63K Trail Events.